Nobody benefits if the SC takes over functions of other institutions. In virtually all constitutional democracies, judicial review to protect fundamental rights is confined to scrutiny of state actions. With the retirement of the 25th Chief Justice of Pakistan, much is being written about his tenure and legacy. This is inevitable given the deep impact that the judicial activism of Saqib Nisar has had on popular consciousness. Long gone (some would say unfortunately) are the days when the identity of the chief justice was known only to lawyers and a few others having direct dealings with the Supreme Court. The trajectory of politicisation of the Supreme Court which began, in some ways, with Iftikhar Chaudhry reached its zenith under the leadership of Saqib Nisar. The rationale repeatedly given by the recently retired chief justice for his willingness to march headlong into the political thicket was that, under the Constitution, the Supreme Court is the ultimate guardian of the fundamental rights of citizens. If the executive branch of the government was too incompetent or short sighted or corrupt to make and implement policies for the uplift of the people, the Supreme Court would fill the vacuum. Similarly, if the legislature was indifferent or too caught up in other matters to effectively legislate to protect the fundamental rights of citizens, the Supreme Court would be more than happy to step in. Of course, these postulates remain unstated; in fact they were repeatedly denied with the assertion that the Supreme Court was strictly operating within its constitutional role and there was no question of usurpation of the role of any other institution. In reality, the Supreme Court wielded its formidable powers of judicial review with a view to redress wrongs which it perceived as stemming from the negligence and ineptitude of the other branches of the government. There can be no doubt that the power of judicial review is one of the most crucial components of a functioning democracy. The superior judiciary has been mandated by our Constitution to ensure that the fundamental rights guaranteed to citizens under the Constitution are not violated by the executive or the legislature. Accordingly, the Supreme Court is empowered to strike down any law which contravenes fundamental rights such as the right to life, right to freedom of business, right to be treated in accordance with law, right not to be unlawfully deprived of property and others. Similarly, any action taken by the executive branch of government can be declared unlawful and void by the Supreme Court if it is violative of constitutionally guaranteed fundamental rights of citizens. Thus, in our constitutional scheme, the superior judiciary is meant to act as a bulwark against encroachments by the executive or legislature upon basic rights of citizens and to serve as a salutary check upon governmental arbitrariness. Editorial: JIT or institutional reform? However, in the Saqib Nisar court, judicial review was taken to a different level altogether. In virtually all constitutional democracies, judicial review to protect fundamental rights is confined to scrutiny of state actions. Judicial review does not extend to private parties. To put it another way, fundamental rights of citizens are not enforced directly against other citizens. The reason for this is that the liberty, autonomy and privacy of individuals is respected in liberal democracies and, as long as a citizen is not committing a crime or breaking a law, the citizen is left alone and is not made responsible for ensuring the delivery of fundamental rights to other citizens. It is the state that is required under the Constitution to ensure that fundamental rights are provided to all citizens and this burden is, for obvious reasons, not put upon the shoulders of more privileged citizens. This entrenched and nearly universally accepted principle, that judicial review of private actions is not available, was put under serious challenge by the Nisar-led court. Three examples spring immediately to mind. First, the action taken by the Supreme Court against private hospitals for allegedly charging exorbitant amounts from patients; second, the order requiring private schools to reduce fees; and third, the order for imposition of tax on water extraction by bottled water companies. In the first two cases, transactions between private citizens were scrutinised and action taken and orders passed to ensure that fundamental rights of citizens (right to education and health) were directly enforced against other private citizens (owners of private hospitals and private schools). In none of the three cases were the private entities violating any laws. There is no law which requires private medical hospitals or schools to reduce fees. It is therefore difficult to see how the insistence of the Supreme Court on reduction of fees can be viewed as anything other than direct legislation threatening the sanctity of the separation of powers doctrine. In the third case, there was no law which imposed any tax on water extraction and a tax was introduced by the Supreme Court itself which was surely a decision to be taken by the government and implemented through appropriate legislation. To be sure, the Supreme Court has the power to direct the legislature to pass appropriate laws in certain cases in order to protect fundamental rights. In the famous Darshan Masih case, the Supreme Court directed the legislature to pass an appropriate law on the abolition of bonded labour which paved the way for the promulgation of The Bonded Labour System (Abolition) Act, 1992. The Indian Supreme Court in the 1997 Vishaka case directed the legislature to pass laws on sexual harassment. It is not necessary or desirable for the superior judiciary to turn a blind eye to all issues; particularly egregious violations of fundamental rights can legitimately be taken notice of and appropriate directions passed to the legislature to consider the matter. What is troubling about recent jurisprudence is obviously not the good intentions of the Supreme Court to protect fundamental rights but the manner in which it has sought to determine and formulate policy regarding matters such as education, provision of health facilities and taxation — all issues which fall squarely within the domain of the executive and legislature. With the greatest of respect, it is not the province of the Supreme Court to fix prices for provision of private medical or educational facilities or to decide whether a tax should be imposed or not (let alone the quantum of tax). This brings us to an oft-asked question: if such decisions of the Supreme Court provide some measure of relief to people, what does it matter whether such niceties as the doctrine of separation of powers are brushed aside in the process? This argument holds that the people need their problems to be urgently addressed and it really does not matter which organ of the state does so. If the government or the legislature fails to do so, let it be done by the Supreme Court. Since the recent decisions of the Supreme Court are so popular in large sections of society, this is an important question to consider. Firstly, the framing of policies by the Supreme Court weakens democratic traditions and perpetuates structural weaknesses in the executive branch of the government. For better or for worse, the people have elected the government to steer the state and it is both the right and the duty of the government to govern. Repeated excessive judicial interference gives the government neither the space nor the time to implement its vision. There are no shortcuts that can be taken to achieve a healthily functioning democracy. It is axiomatic that the democratic project requires institutional strengthening. While the temptation may be great to provide short-term relief by taking over policy making, in the long run this does no favours to anyone. The duly elected representatives of the people must be given the opportunity to do their job. Not allowing this to happen ensures that the political system remains immature. It also needs to be borne in mind that our peculiar constitutional history is full of repeated interruptions to the democratic order, most particularly in the form of autocratic military governments; surely the democratic sapling needs to be nurtured rather carefully in this environment. Secondly, it is obvious that no court possesses either the expertise or the experience to frame policy on matters such as education, health, taxation and so on. The exercise of policymaking in such areas by the judiciary can have far reaching and disastrous effects. For example, if a significant number of private schools are forced to close down as a result of the order of the Supreme Court slashing fees by 20 per cent, this would be highly detrimental to the education sector given the existing state and quality of government schools. Explore: How to give a dam? Another example of policy making by the Supreme Court is the dam building initiative and consequent fundraising. While the resourcefulness of the Supreme Court in sensitising the society to this crucial issue is laudable, and while access to clean drinking water is surely a fundamental right, it should be noted that several experts have questioned the wisdom of undertaking mega dam projects and the feasibility of such enterprises. Thirdly, unwarranted interventions into the private sphere can cause real damage to the economy. Investors shy away from any outlay of capital in circumstances where capital is perceived not to be secure. 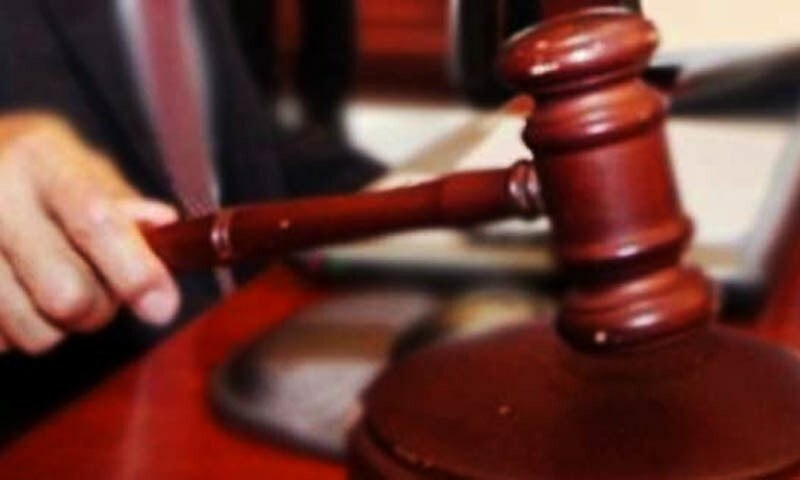 Fourthly, arbitrary exercise of suo motu powers leads to uncertainty in the law. A developed legal system depends to a great degree upon clearly formulated case law and precedents which are applied by the courts in a consistent manner. When certain decisions are taken for arguably populist reasons, adherence to legal rules is often sacrificed. There is a perception among sections of lawyers that it has become very difficult to advise clients on what the law is, given the uncertainty injected into the system by what is perceived to be inconsistent exercise of judicial power. Fifthly, while protecting fundamental rights of certain classes of citizens (for example, parents of private school students and patients of private hospitals), the fundamental rights of other citizens (private school and hospital owners in this case) should not be violated. Private service providers are guaranteed the right to undertake their businesses under the Constitution (Article 18). To be sure, such right is not unfettered and can be subjected to reasonable regulation by the government through appropriate legislation, but that is a different matter from judicially-ordered price reductions on a seemingly arbitrary basis. Regulation of the private sector is welcome, strangulation is not. Furthermore, in case policy making and legislation is itself taken over by the judiciary, those affected will be left with no remedy. If the legislature formulates a law which is contrary to fundamental rights or the executive behaves in an arbitrary or unlawful manner, persons affected can petition the superior courts for redressal of the wrong. This basic right is taken away if the formulation of policy is undertaken by the Supreme Court itself. Moreover, making the private sector responsible for the failure of the state to provide essential services may not be the wisest or fairest approach. It should also be kept in mind that issues pertaining to bottled water, private hospitals and private schools affect only a small fraction of the population. Interventions in these areas do not solve the problems of over 90pc of our population which has been betrayed by successive governments and continues to be deprived of fundamental rights such as access to clean drinking water, education and health. The Supreme Court has, in recent times, played a commendable role in raising awareness about certain critical issues confronting the nation. As the custodian of the fundamental rights guaranteed to citizens under the Constitution, it can and should continue to scrutinise actions and laws of the executive and legislature to ensure that the same do not violate fundamental rights. The people of Pakistan depend upon the great institution of the Supreme Court to protect it from government arbitrariness. However, the people are neither benefited nor served if the Supreme Court itself takes over functions of other institutions and an element of arbitrariness is injected into the proceedings of the Supreme Court which is the ultimate upholder of law in the country. Zaki Rahman is a partner at the law firm LMA Ebrahim Hosain and an adjunct faculty member at the Lahore University of Management Sciences. I was waiting to read your point on Mobile card Tax. Well this is a well written article giving great exposure to it's reader. With all due respect to all of Supreme Judges , correction of any person, family, institution, nation etc start from self improvement, the the improvement of institution you are directly responsible . Unfortunately we will not reach anywhere if the process of correcting others and other institution going on with out correction of our own institution. Justice system in Pakistan is very poor quality and very slow. I do not know how courts are allowed to have summer vacation (only emergency cases) while all other institutions works. loser is a loser if not standing at the victory stand. Ascertainment of Final result must be the criteria to measure someone worth. 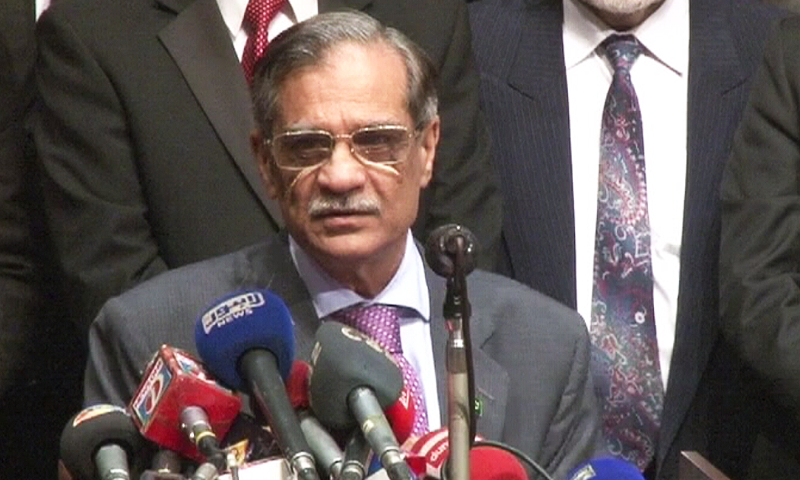 Saqib Nisar was a fine example of CJ of the Supreme Court , in a country like Pakistan where corruption is rampant and no one dare raise a voice , the CJ was the only man to have the courage to raise voice against corruption, and do something about it , obviously he is not liked in many circles. His intervention for the dam is very good. I hope the work on dam starts soon. An eye opener for all those who admire the bullish style of top judiciary. Written very late but atleast showing the mirror to those who never wanted to see their real image. A very good and balanced article. Thank you. 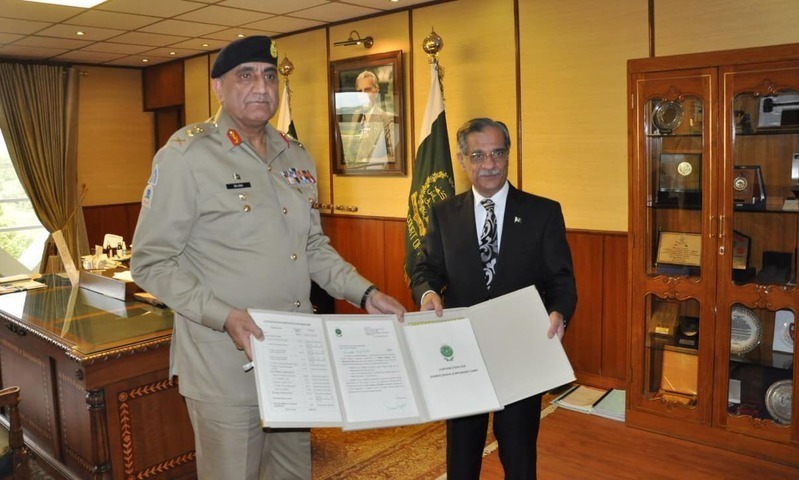 Justice Saqib Nisar was one of the best with some extreme thinking, but he is a die-hard Pakistani Patriot. He took action like no before he dares to even touch it. Thank you, Judge Saheb. Enjoy your retirement and don't pay any attention to the clowns who criticize you. Less of this claptrap about "constitutional democracies," please. Unwarranted? Give me a break, bro. When our political and bureaucratic systems break down, some one has to step up to the plate to delivery relief to the suffering masses. 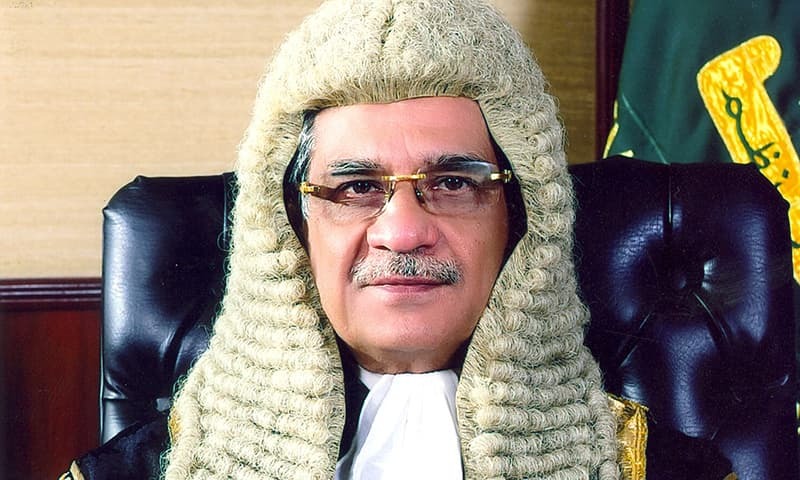 You may not think much of Justice Saqib Nisar's legacy, but he has charted a new course to bring a semblance of justice to we the people He will be remembered fondly long after you are long gone. A extremely well articulated article. In my view, Mr. Nisar with all due respect to him did FAR exceeded his boundaries - he ELECTED to raise issues under "populist theme" rather under judiciary - under our constitution. All his recent public rhetoric were as if coming out from an politician rather than judge. And I am confident that Mr. Nisar being such a qualified, intellect knew all his boundaries and still said/did - why - sure would like his input on the subject - May be one day we will learn.